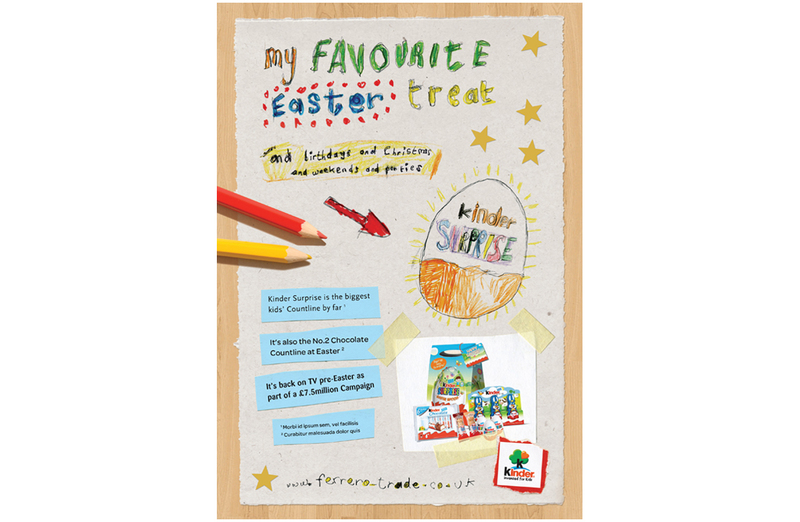 Trade press advertising campaign promoting the UK's number one kids' chocolate countline to the grocery trade. Responsible for: concepts, copywriting, illustration and creative direction. 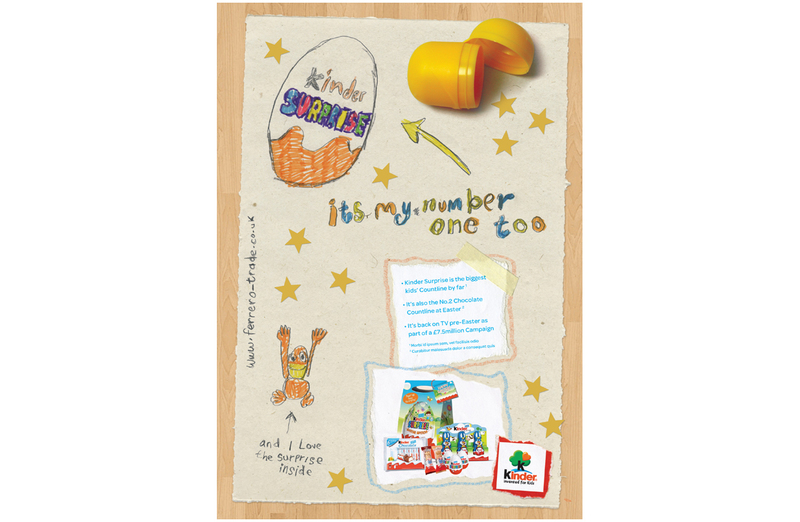 Kinder – Concepts, copywriter, illustrator and creative director. The grocery trade press is full of pedestrian advertising that, more often than not, offers no reward to the reader. 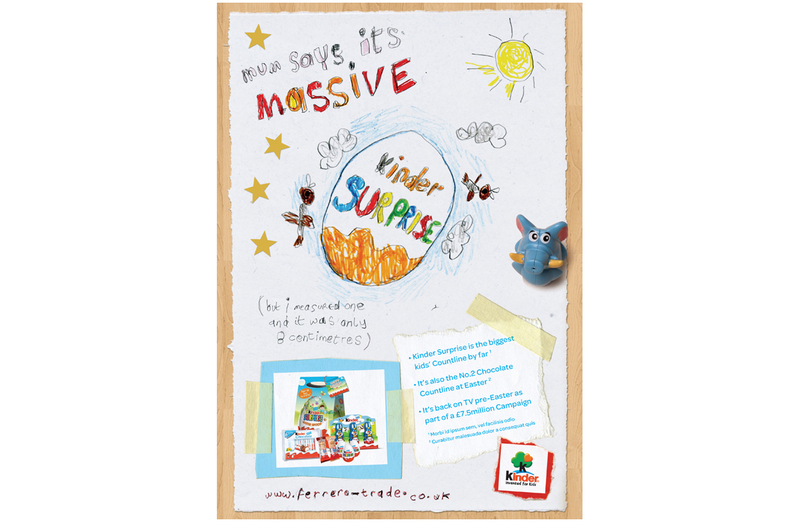 This campaign is executed with the naiive enthusiasm of the kids that have made the product the success that it is today. Concepts, copywriter, illustrator and creative director.